SERVPRO of Victoria has been helping the Victoria community for the last 10 years. Owner Natalie and Mark Hart are dedicated to helping customers in Victoria, Texas and the surrounding communities. Over time, our company has grown however, our mission has stayed the same. Our team serves the people, business and organizations that make Victoria so wonderful. As leaders of the business, they have created a team of people with experience and knowledge of the industry to help take care of customers to the best of their ability. Here at SERVPRO of Victoria, our customers come first. We strive to provide outstanding customer service and help put back the pieces back together after a disaster strikes. As a locally owned and operated franchise, we are dedicated to helping our community when water or fire damages strike their home or business. We are always here to help! A really good deep spring cleaning should take more than a day. Set aside a weekend to steadily get the major chores done. An average amount of time to clean an area can take about 2-6 hours. As you start your spring cleaning, organize your time and tackle the big chores first. Declutter the room by sorting out and organize items into different piles. Once these tasks have been attacked then clean the surfaces with the tough grime and wiping down counter tops and polishing it. Don't overlook the items in plain sight such as kitchen appliances. Also, address the little small hidden crevasses. Don't rush - This will not happen in one afternoon, organize your time and pace yourself as you work on these chores. Supply lines direct the water from the toilet into the pipes. Over time, the joints of this line and the rubber lining can wear out or rupture, which can lead to water escaping and ultimately damaging the area around the toilet. • Flappers can also become damaged and can lead to a large loss of water in the tank. Sometimes the flush handle gets stuck and allows the toilet tank to continually fill with water. This can lead to overflow and expensive water bills. • The float is the small ball that floats in the toilet tank. If the float is damaged or cracked, this can mess up the entire flushing process. Over time, the water supply line in a dishwasher may degrade. 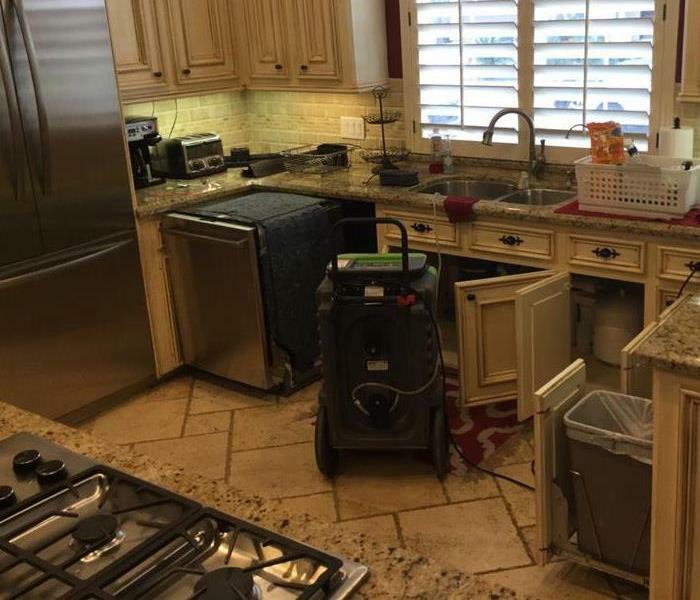 This can lead to water leaking into enclosed areas under the appliance and rupture entirely. Check this line twice a year by removing the kick plate at the front of the dishwasher and use a flashlight to inspect the space and surrounding areas. If the area is wet with no explanation, this should be taken as a red flag. The dishwasher water supply line shut off should be located under the kitchen sink; turn it off and call a plumber. Underneath the sink, you may find a water filtration system. As time passes, the lines can degrade and rupture. A crack in the line can lead to flooding and potentially much worse. Check the sink twice a year to avoid any costly damages. Moving the refrigerator may be tricky sometimes. It's important to be cautious about its placement. Moving the refrigerator too close to the wall may kink or break the water supply line. However, having the refrigerator too far out may cause potential over-stress on the line and potentially cause the line to rupture. Keep in mind, the plastic water supply line degrades over time and can crack or break. To prevent water damages from potentially happening, it is advisable to remove the plastic line and replace it with a copper or stainless-steel line that has better durability. Being prepared can help prevent a disastrous situation. By regularly checking on these appliances, you will help avoid any catastrophic damages. SERVPRO of Victoria is faster to any sized disaster, and we are here to help 24/7/365 to make it "Like it never even happened." Flooding can occur at any time of the year, especially around the coastal region of Texas. However, did you know that there are different types of floods? There are several kinds of floods, and SERVPRO of Victoria feel it is important to educate our customers, so they can make informed decisions on how to handle the situation. River flood – Occurs when a river overflows its banks. A common cause for this is tropical systems (hurricanes, tropical storms, etc.) or an abundance amount of rain. Coastal flooding – this is the result of strong onshore winds pushing on water from the ocean or bay. These can be classified as storm surges and may greatly affect homes along the coast. Urban flooding – floods are due to the lack of drainage in an urban area. SERVPRO of Victoria is here for any of your weather-related remediation needs, give our team of trained professionals a call! (361) 573-6000. Mother Nature has the ability to cause extensive and expensive damage to your home or business. Down here in Victoria, it doesn’t take much to bring trees and powerlines down. CLEAN THE GUTTERS down sprouts can be clogged by dead leaves or branches. Consider cleaning the gutters twice a year. Inspect your roofs – give the roof a good look for any loose or missing shingles. If there are damages spotted it is encouraged to get this addressed and fixed immediately. By taking immediate action, this will help prevent further damage such as future water or mold damages. Check the trees on your property – tree decay, soil erosion, heavy rains, and windstorm can cause a tree to fall. By keeping an eye out for these signs and help pruning trees can avoid possible future damage. Let SERVPRO of Victoria keep your home or business safe from storm and water damage. Our crews are highly trained, and we use specialized equipment to restore your property to its pre-storm condition. Give our team a call (361) 573-6000. Bleach does not work on porous surfaces, but mold loves porous areas. Bleach is made up of 90% water, so once the chlorine quickly evaporates, you are left with a ton of moisture that will help mold continue to grow. Even though it may look like bleach has killed the mold infecting your home, it is only the top layer that has been killed, and the mold’s roots within the walls will easily come back stronger. Bleach can weaken the surfaces you put it on. When bleach is put on a surface such as wood, it can begin to eat away at the fibers. Even a small change to an important structural piece of your home could be disastrous. 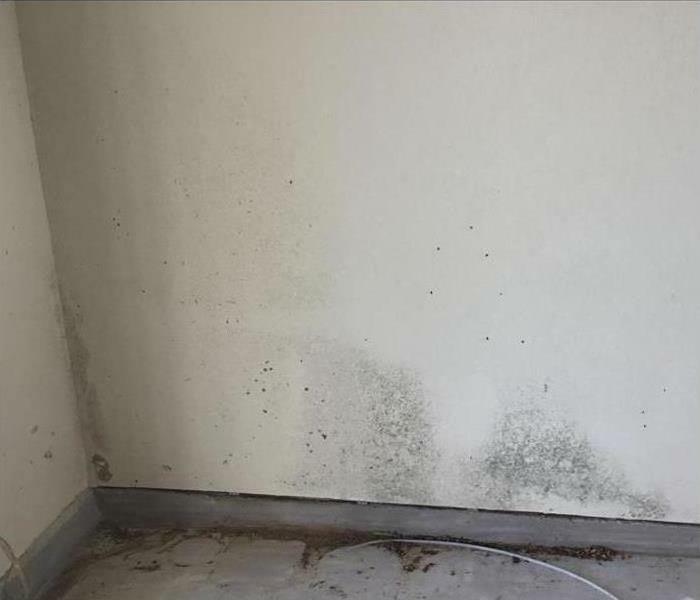 If your home or business has a mold problem, SERVPRO of Victoria can inspect and assess your property and use our specialized training, equipment, and expertise to remediate your mold. It’s important to keep your heating, ventilation, and air condition (HVAC) units working correctly to prevent the spread of unwanted dust and contaminants throughout the company building. When the ductwork of your HVAC unit becomes clogged or backed up, you might start to notice foul odors coming you can’t get rid of, or find the source of in your place of business. When it comes to commercial cleaning, our professional technicians at SERVPRO of Victoria can inspect, repair, restore, and replace your HVAC unit so that you can breathe clean, fresh air in your home or office all day long. The benefits of getting your business’ HVAC unit are restoring the peak energy efficiency, can eliminate any offensive odors that have been lingering around and may help reduce the potential mold growth. 3/12/2019 - A Leaking Toilet? 2/26/2019 - Does Bleach Get Rid of Mold?